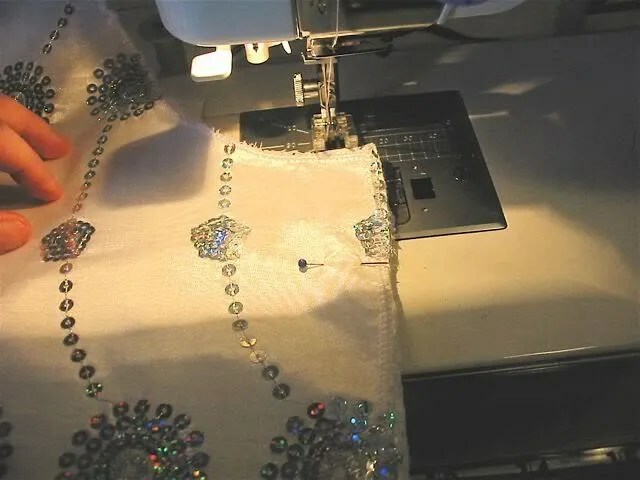 The fashion fabric is backed and lined. This particular fabric already had a nice design at the hem so I decided to follow that. 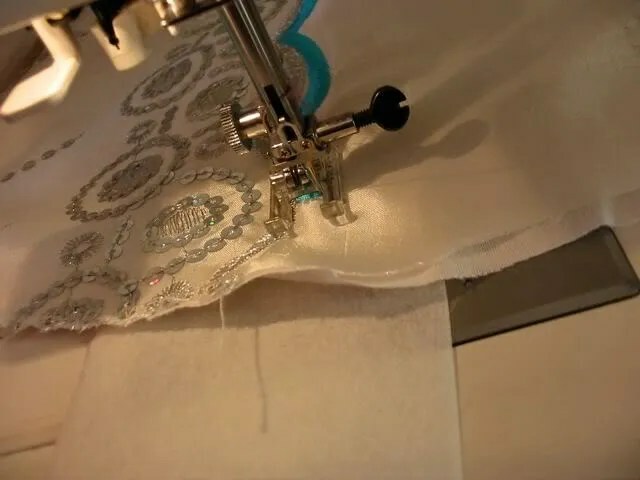 As you can see I am using a strip of B508 to make sure my stitches are nice and flat. Carefully cutting out the shapes. Use a REALLY SHARP knife for this to make your life easier! A trick I picked up from Celtic Flame: cover the white fluff with a special t-shirt ink sharpie! 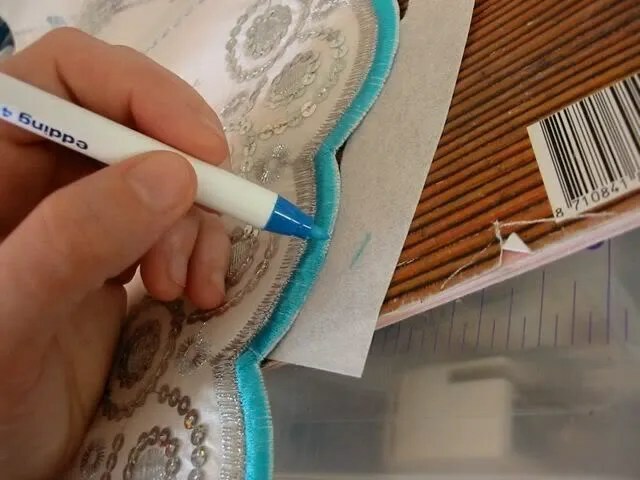 I did this after the satin stitching here, but if you want, you can first straight stitch the design, then cut out the shapes, use the sharpie on the white edge and then satinstitch around. Removing the back part of the vilene with my blade. 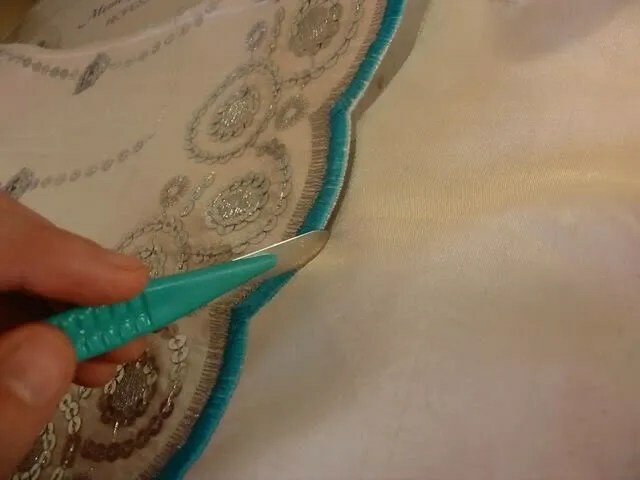 I do a french seam for the sleeves. I start with stitching the fabric WRONG sides together. Then, I turn my sleeve inside out. Then I press the fabric (actually I didn’t do this in this picture, but you should!) and really press in the seam. 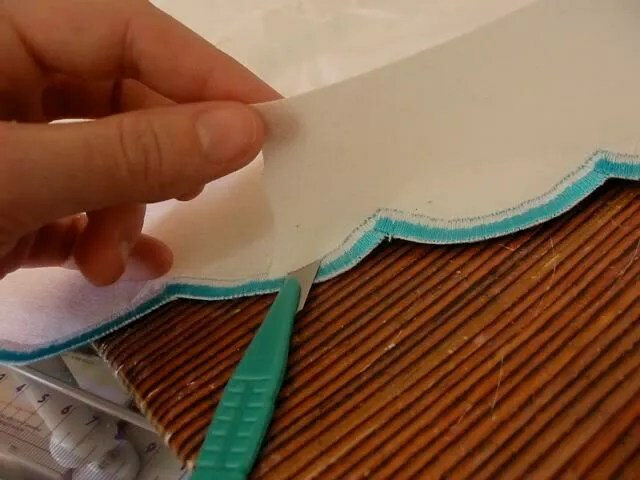 You can then stitch the seam again, making sure you encase the raw edges inside the seam. 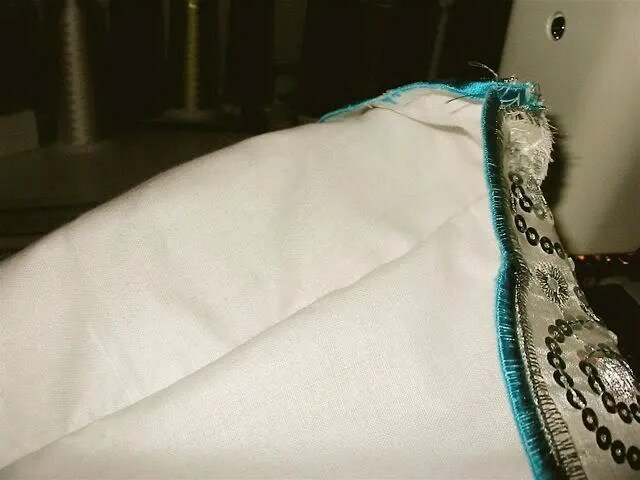 As you can see, this method might require a bit more seamwidth, but I think it is nicer than leaving serged edges inside and you can still keep some extra seam allowance for alterations. The seam from the inside (very unpressed, sorry). A french seam at the sleeves, now that’s a good idea. 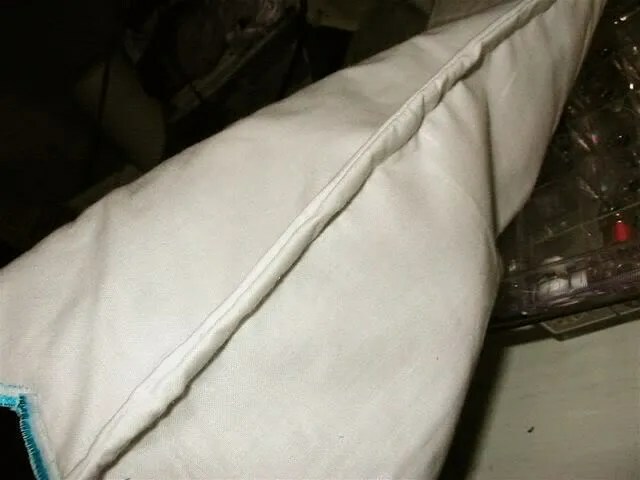 It wouldn’t take that much longer, but I am wondering if there would be a need to remove the bulk at the underarm/side bodice connection? What is your experience with it? I had no trouble with it at all, but I have not had very thick fabrics in the sleeves lately. As long as you press well I’d say it is no problem. 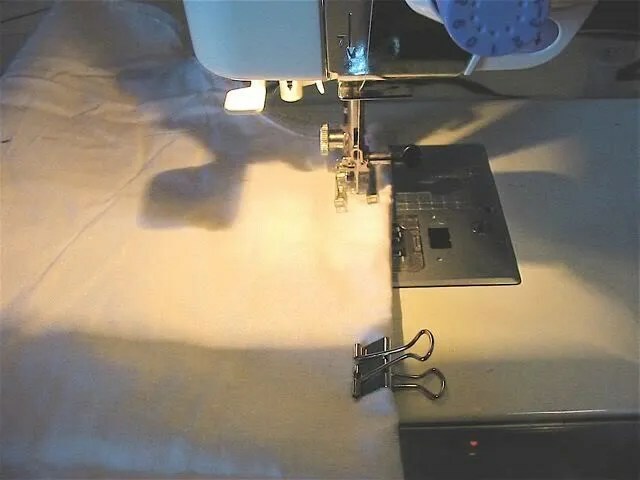 I press as flat as possible and turn the seam to one side and stitch it on that way. I’m sure it is not possible for *every* fabric, but I just prefer this whenever possible. Have I told you lately how you completely amaze me? Your attention to detail is beautiful, and your patience is overwhelming!